Download Web Design Company Website Template. This is a awesome free web design template is specially designed for Web design company, Web development company, web design agencies etc. You can also use this Website template for Personal Portfolio, News, Creative Blog, Gallery Photo, Creative Corporate, Community, Company Profile, Agency and others. This Web Design Company Website Template is complete free and It has all the necessary section and design elements which is useful for creating such website. It has a modern as well as minimalist design so if you need something similar for yourself or client be sure to check this out. The Web Design Company Website Template is well organized with layers that are named perfectly for easy customization. So if you need to create a quick website this Web Design Agency Template PSD is for you. 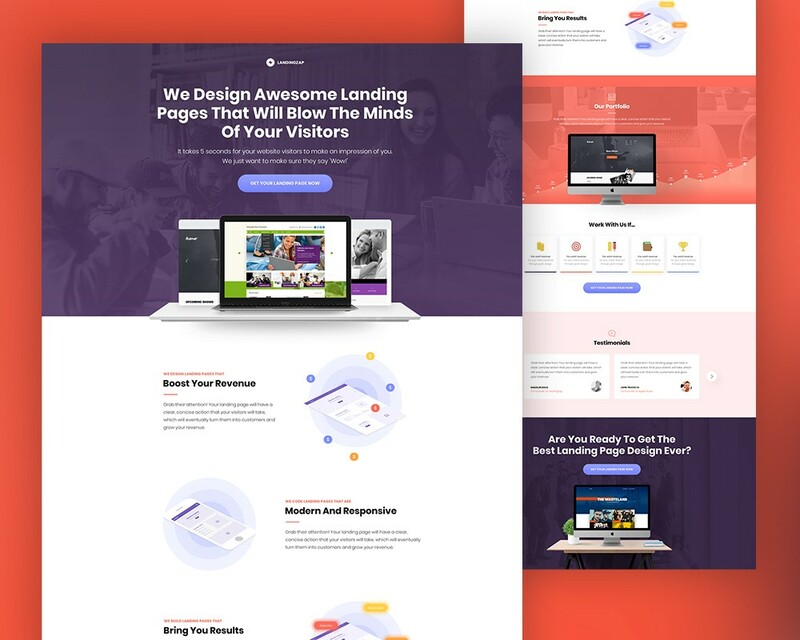 Web Design Agency Template PSD is just perfect and a great resource for any type of personal or commercial Web design projects. Hope you like this Web Design Comapny Website Template PSD. Enjoy!